Dr Evana Wright is a Lecturer in the Faculty of Law University of Technology Sydney researching in the fields of intellectual property and the protection of Indigenous traditional knowledge. 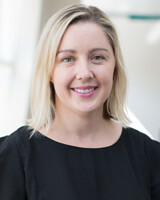 Her PhD thesis examined the emerging international framework for the recognition and protection of Indigenous traditional knowledge and its implementation in India and Peru with the objective of identifying lessons for Australia in developing a nationally consistent regime for the protection of traditional knowledge. As a PhD scholar, she held the Quentin Bryce Law Doctoral Research Scholarship and Teaching Fellowship. Evana was admitted as a legal practitioner in the Supreme Court of New South Wales in 2006 and has previously worked as an in-house legal counsel in Australia and Silicon Valley for major IT corporations and in an ICT research and development incubator. Evana holds a PhD from the University of Technology Sydney, Master of Laws (Honours) also from the University of Technology Sydney, and a Bachelor of Science/Bachelor of Laws from Macquarie University. Stoianoff, NP, Cahill, A & Wright, EA 2017, 'Indigenous knowledge: what are the issues?' in Stoianoff, NP (ed), Indigenous Knowledge Forum: Comparative Systems for Recognising and Protecting Indigenous Knowledge and Culture, LexisNexis, pp. 11-37. Wright, EA, Cahill, A & Stoianoff, NP 2017, 'Australia and Indigenous traditional knowledge' in Stoianoff, NP (ed), Indigenous Knowledge Forum: Comparative Systems for Recognising and Protecting Indigenous Knowledge and Culture, LexisNexis, pp. 39-68. Wright, EA 2017, 'A sui generis regime for the protection of Traditional Knowledge: What can we learn from India and Peru in the design and implementation of a nationally consistent framework for the protection of Traditional Knowledge in Australia? '.